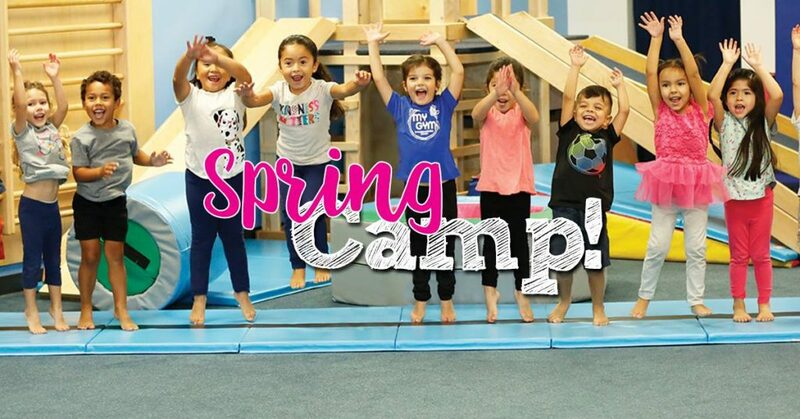 Cost: Single Day Pass - FREE Ages 2 and under/$4 Age 3-12/$5 Age 13-59/$4 Age 60+ (Tip: Take advantage of the week day special for students. During weekday swim present your student ID to pay only $2! Details: Open style sports and semi-organized games. Registration form with parental consent required each school year. Sign-in by youth required each day of participation. Dates and times subject to change. Contact the center for schedule changes. Details : This special open jump is for our guests aged 1-6 years old only. If you're worried about older kids running around the smaller ones, this is the perfect time for your little jumpers. Our designated toddler area is for 1yrs-3yrs only. 2 yrs-6yrs are allowed to jump on the inflatables. Daycares are more than welcome to participate in Little Jumpers. We ask that if you are going to bring more than 5 participants that you call ahead to let us know. Details: Looking for a fun way to spend the day when school is out for spring break? 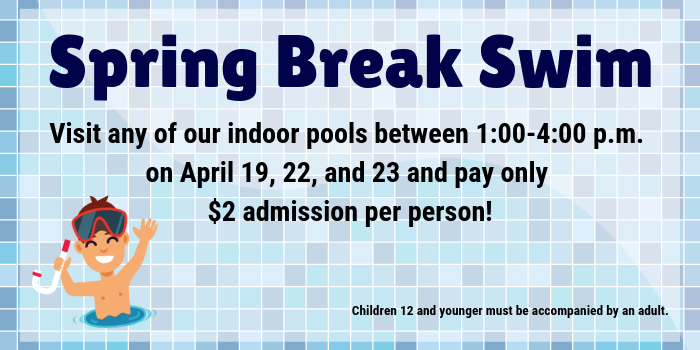 Visit one of our indoor pools (Lackey, North Point, and Donald M. Wade Aquatic Center) for our Spring Break Swim special! Admission will be only $2 per person from 1:00-4:00 p.m. on April 19, 22, and 23. Don't miss out! Details: Enjoy this special children's pool that features a zero depth entry up to 3 feet depth heated pool with slides, climbing features, and water drop buckets.